Are you a member of the _____? A passage between rows of seats is an _____. 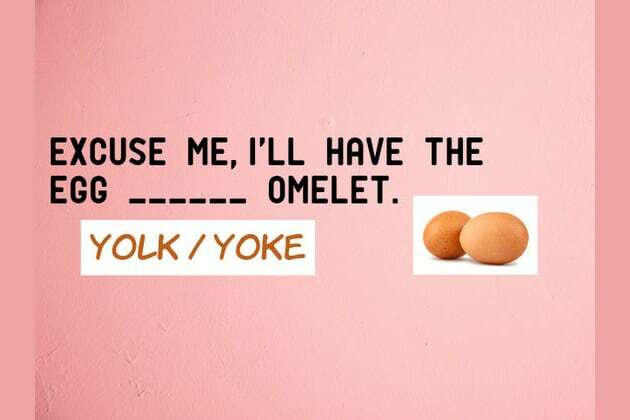 I'll have the egg _____ omelet please. _____ did you kiss at the party? The _____ of him must fill her with such anger. To recommend something is to _____. Sarah spent hours _____ over her books. She loves to _____ her trendy clothes. A _____ of more than 100 people snaked its way down the street. To make a difference is to _____. make a situation less tense. spread over a wide area. You must read the entire book, even the _____. A young deer, especially one less than a year old, is called a _____. If something is permitted, it is _____. This legislation _____ equal opportunities for all. Your sarcasm will _____ a negative response. An even score at the end of a ballgame is a _____. When you are asked to assess something, you need to _____ it. An impartial person is ______. You aced it!! You are definitely on top of your game. Congratulations are in place!! You aced an English test that only 2 in 45 Americans can. You have the distinct traits of high achievers: you're adaptable, skeptical, and open-minded. Share the news with everyone you know. You flunked. Are you French by chance?? You flunked the test. Try again, and share it with everyone you know.